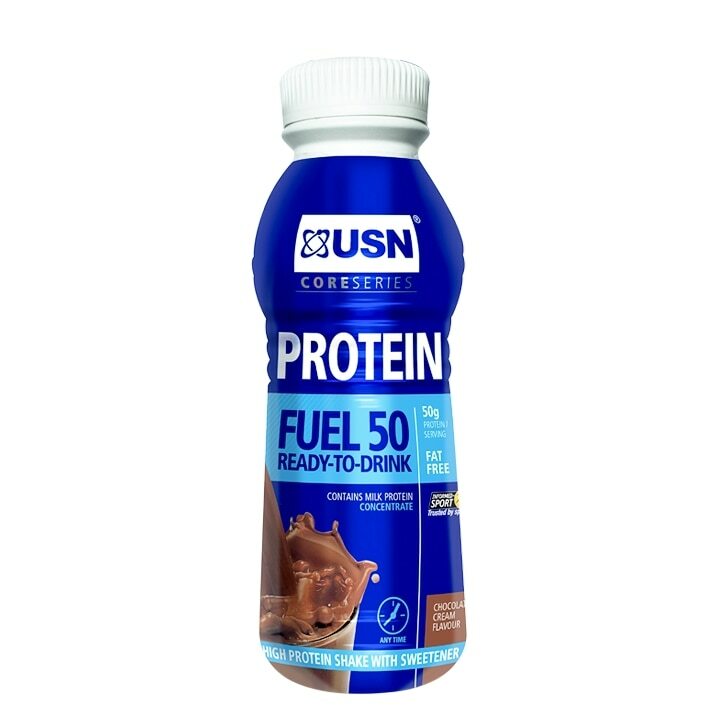 USN Pure Protein Fuel RTD Chocolate is a high protein, reduced carbohydrate, low fat drink. A delicious milk-based protein shake, ideal for during or after your workout. Protein offers support for high intensity resistance exercise, assisting in the building of muscle mass and strength through muscle protein synthesis. Skimmed milk, Milk protein (milk protein concentrate & hydrolysed milk protein), Water, Cocoa powder (1.8%), Non-nutritive Sweetener: sucralose, Stabilizer: carrageenan. USN Pure Protein Fuel RTD Chocolate is rated 3.8 out of 5 by 4. Rated 4 out of 5 by Charlie21 from good recover for the price! good recover drink and great tasting. Gym recoovers are double the price. Rated 5 out of 5 by Anonymous from Good value for an excellent recovery drink After a long and arduous run this is one of the best recovery drinks around. It really revives and restores = almost makes you ready to do another 12 miles. Rated 4 out of 5 by Anonymous from Asolutely Fab! I bought the chocolate flavour and it's the best protein shake I've tasted. No nasty aftertaste! I liked it so much that I've just bought the 2kg powdered version.